Enable the Hidden Notification LED on the Google Nexus 6! 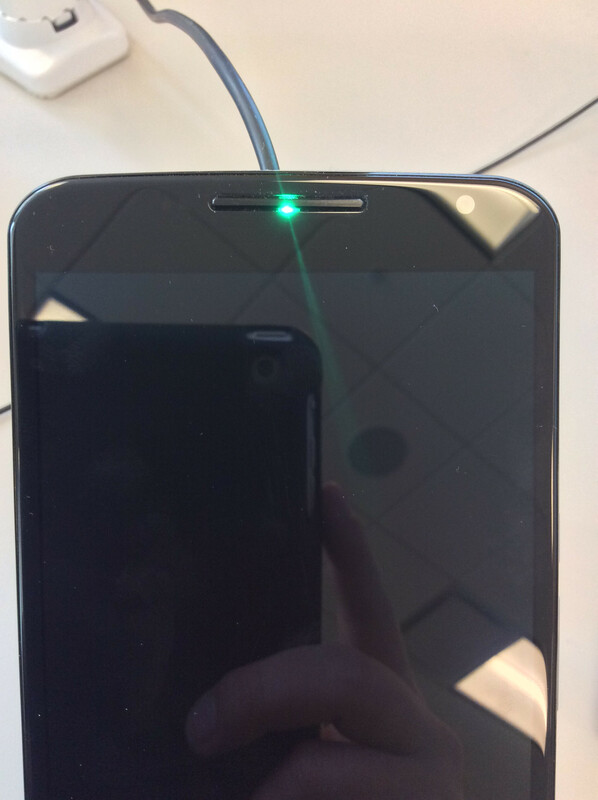 LED notification lights have existed on Android devices since the very beginnings of the OS. While most devices feature a hardware LED notification to inform you of notifications such as missed calls, texts, or battery charge level, some devices ship without trace of a physical LED. One such device is the Motorola-made Google Nexus 6, which ditched the LED notification light in favor of an AMOLED panel capable of displaying notifications on the screen itself. If you’ve been following the XDA Portal for a while, you certainly remember that the Moto X also “didn’t feature” a physical LED–but nevertheless, XDA members managed to find it hidden beneath the front speaker. Surprisingly, the Google Nexus 6 also has a small LED that can be used if your device is rooted. The LED can produce red, blue, and green light which is more than enough to assign the colors to various types of notification. This was all discovered by XDA Forum Member JMUT. To use the LED with your Nexus 6, you need an external application like Lightflow (paid app) or similar software that can control LED notifications. Before testing the LED notifications yourself, ensure that your device is rooted. You can find a root method in one of XDA TV videos. More information regarding the “hidden LED” can be found in Notification LED confirmed forum thread. If you are a happy owner of Google Nexus 6 and you want to add notification LED functionality, head over there to check out the described method.